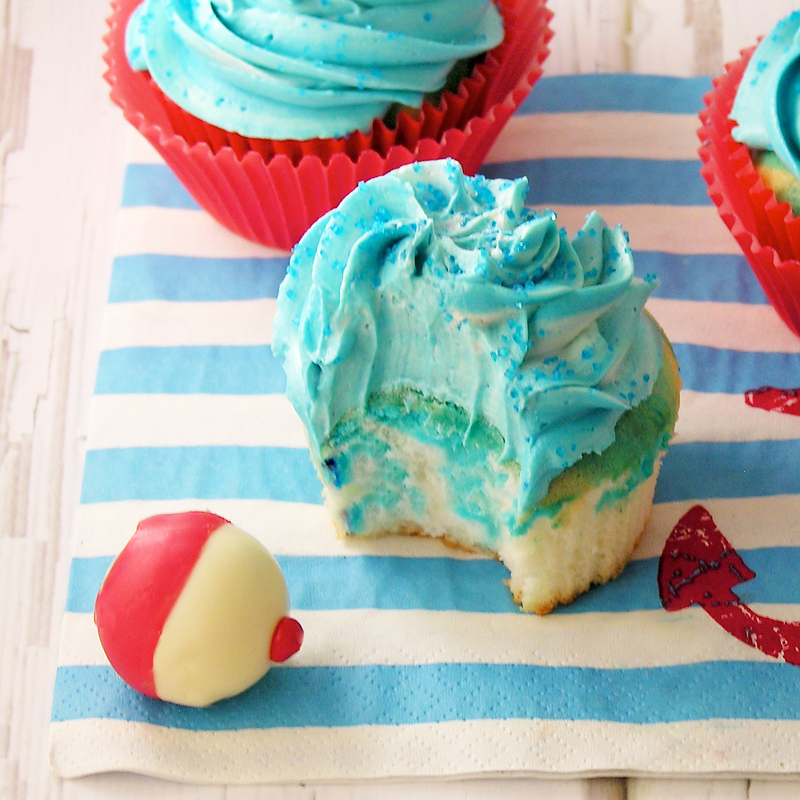 10 Fun Dessert Recipes for Father’s Day! 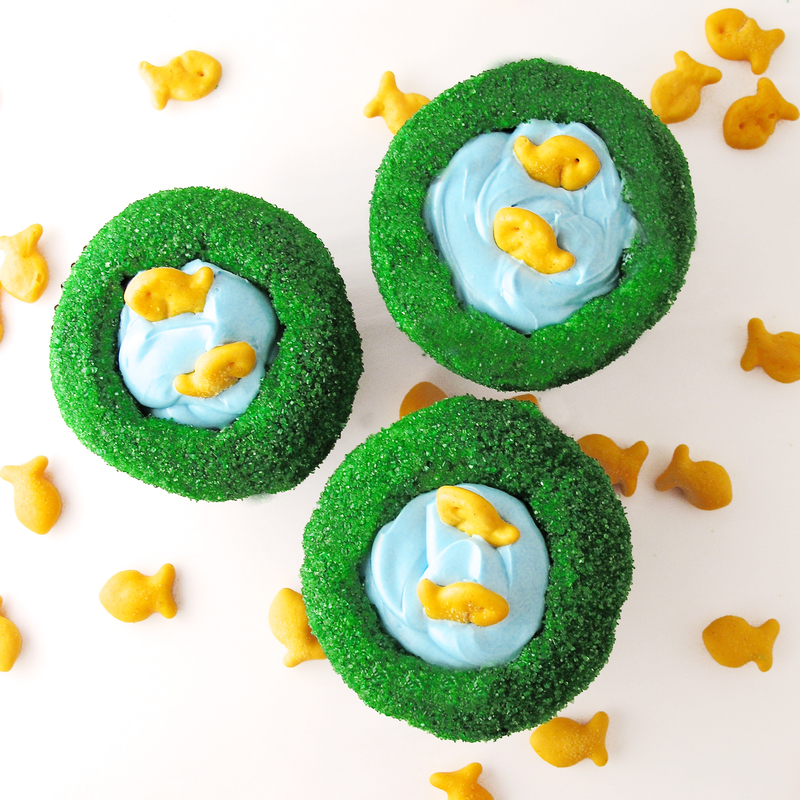 Father’s Day is upon us! I love this day. 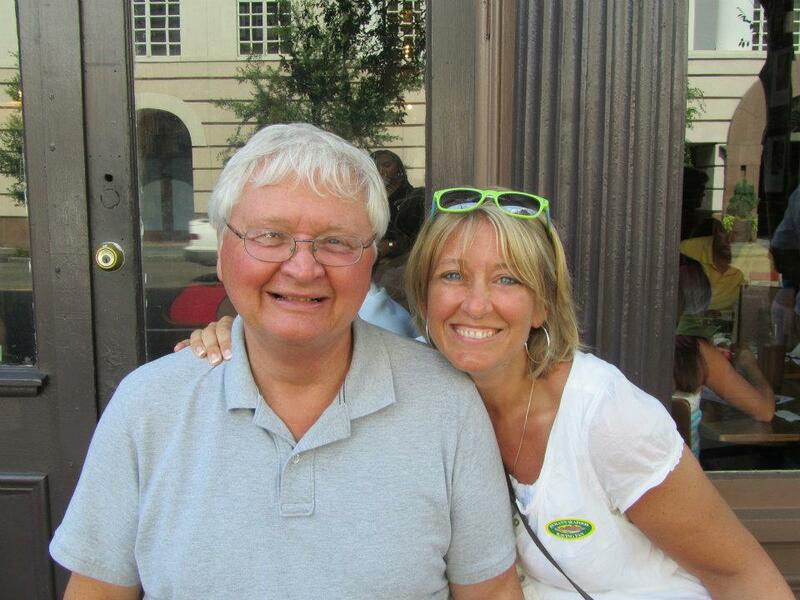 I have such a great dad- he is adventurous, wise, funny and so much fun to spend time with. 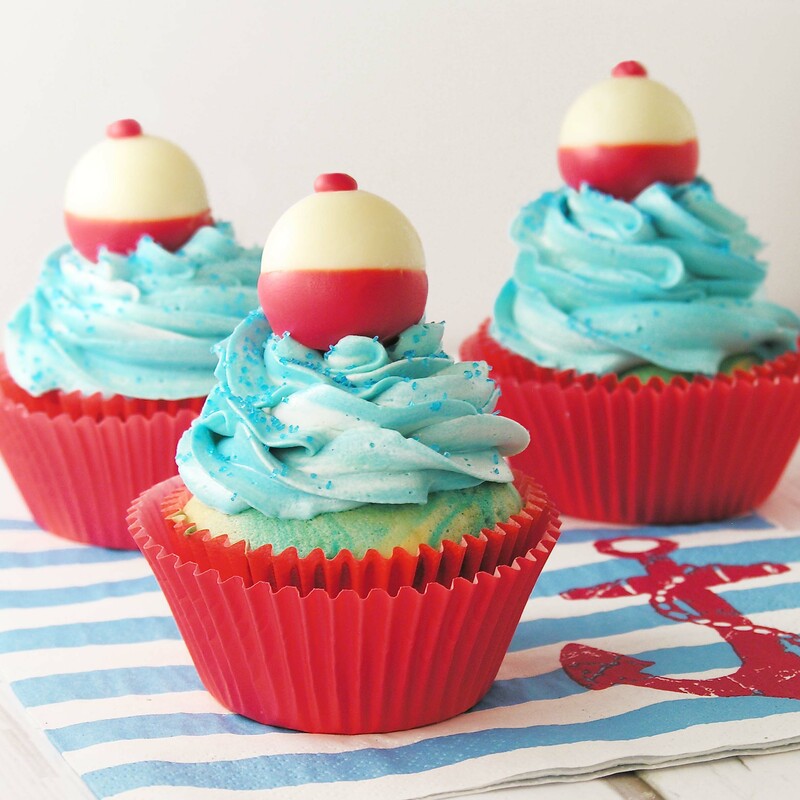 I’ve created many recipes here at Easybaked on his behalf, and thought I would gather them all into one little post for you! Dads come in all varieties with all sorts of interests and hobbies. 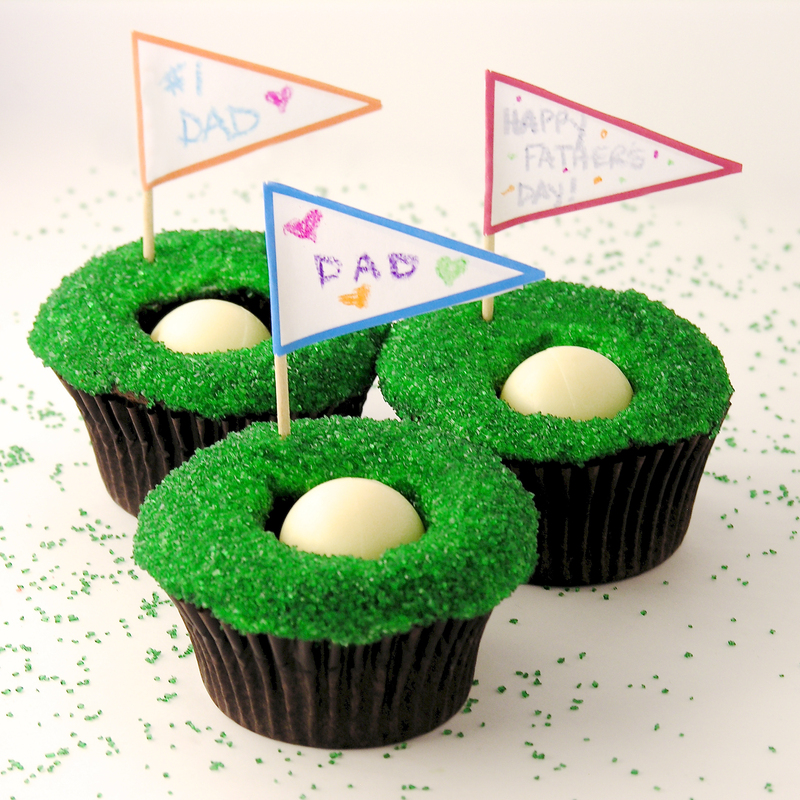 If your dad is a golfer, try the Hole-in-one Cupcakes pictured above. 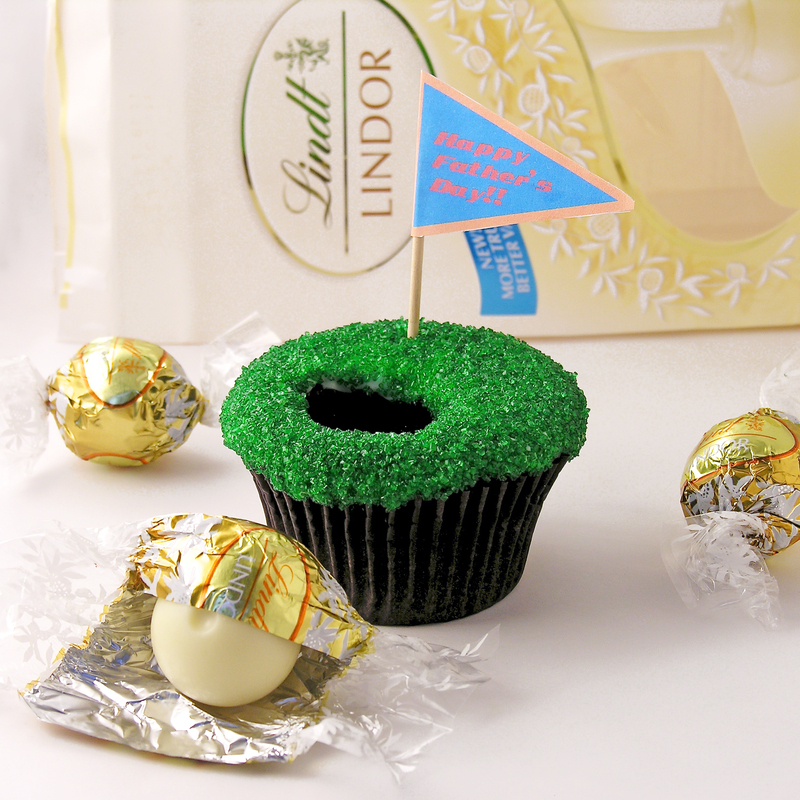 They use a Lindt chocolate truffle as a golf ball- which is cute and SO yummy eaten with that cupcake! 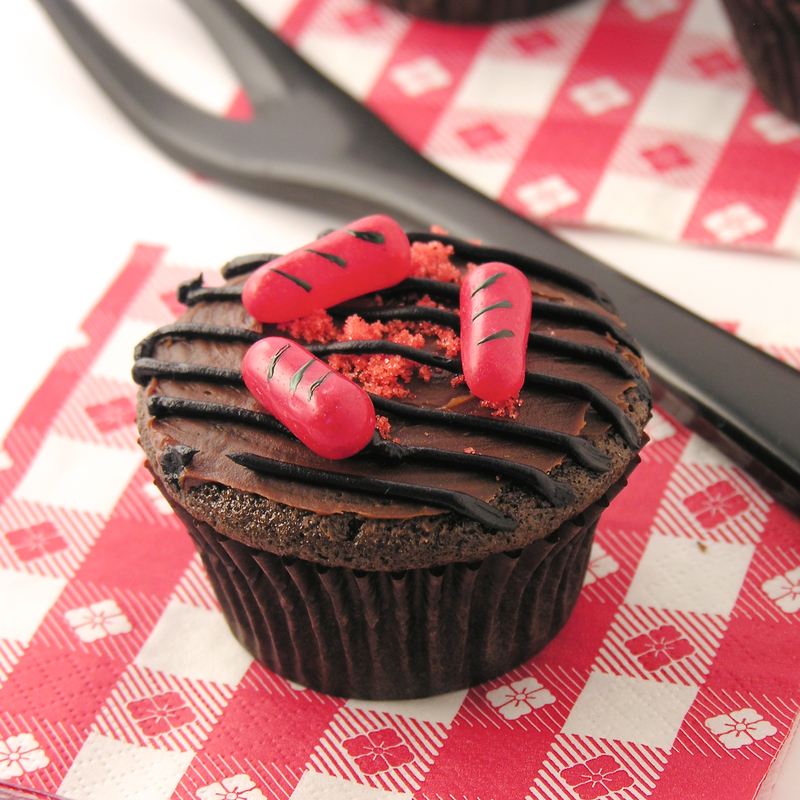 If your dad is the grill-master of your family, you might make him BBQ Cupcakes– or Hamburger Cookies– or maybe both! He loves football??? Hopefully he loves the Green Bay Packers… the only team truly worth cheering for….! 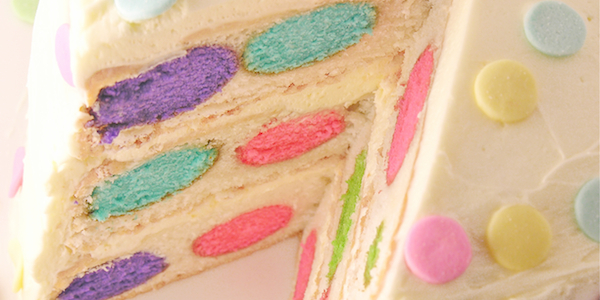 Maybe your dad is a foodie. He loves his bacon and doughnuts! We’ve got both of those covered! 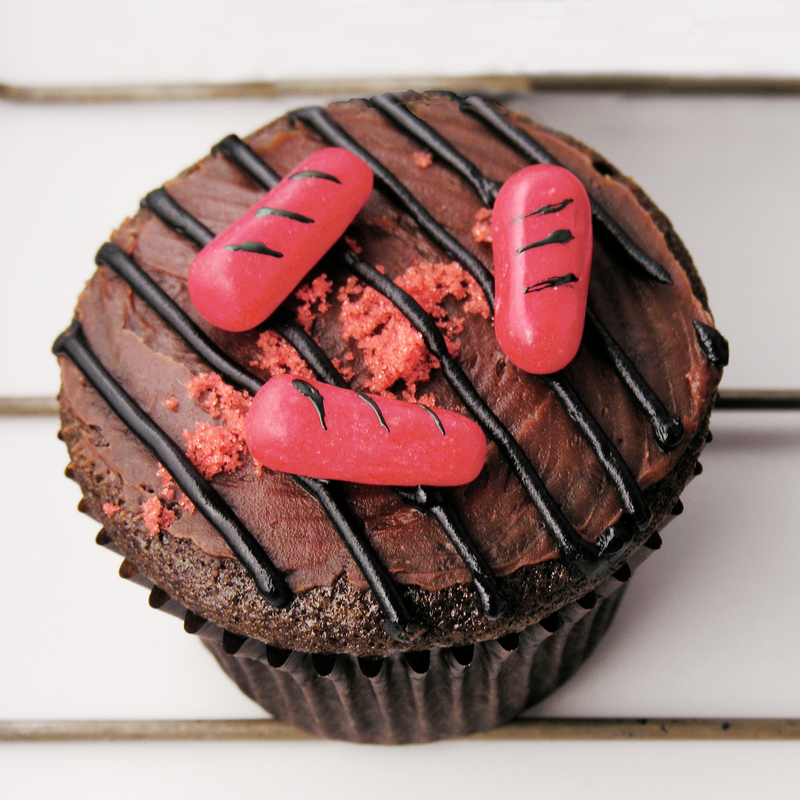 Our Pancake and Bacon Cupcakes are actually incredibly delicious! 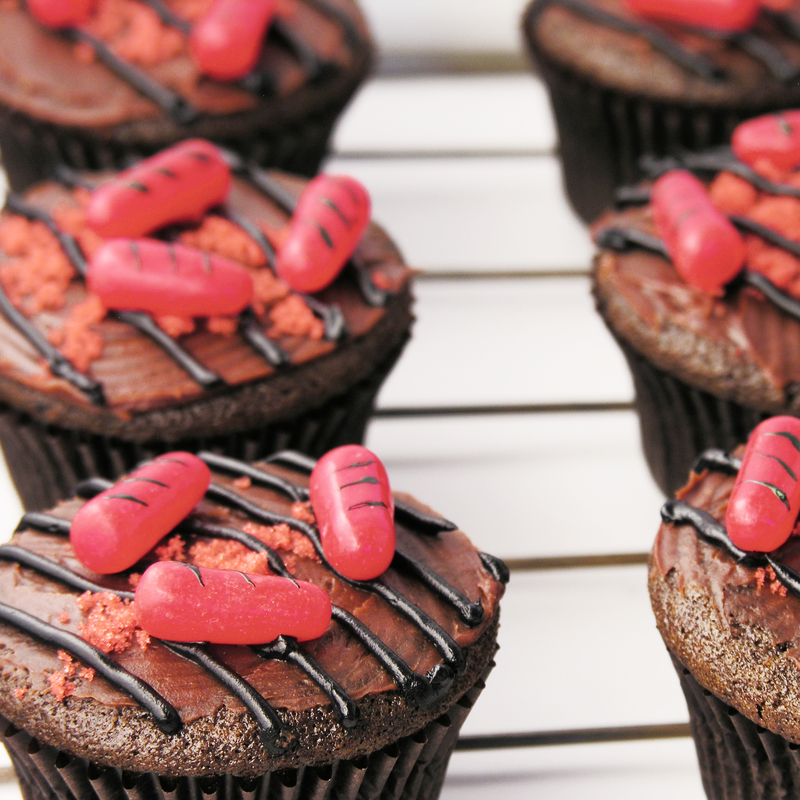 I was skeptical- and I made them- but they got five stars in my book! 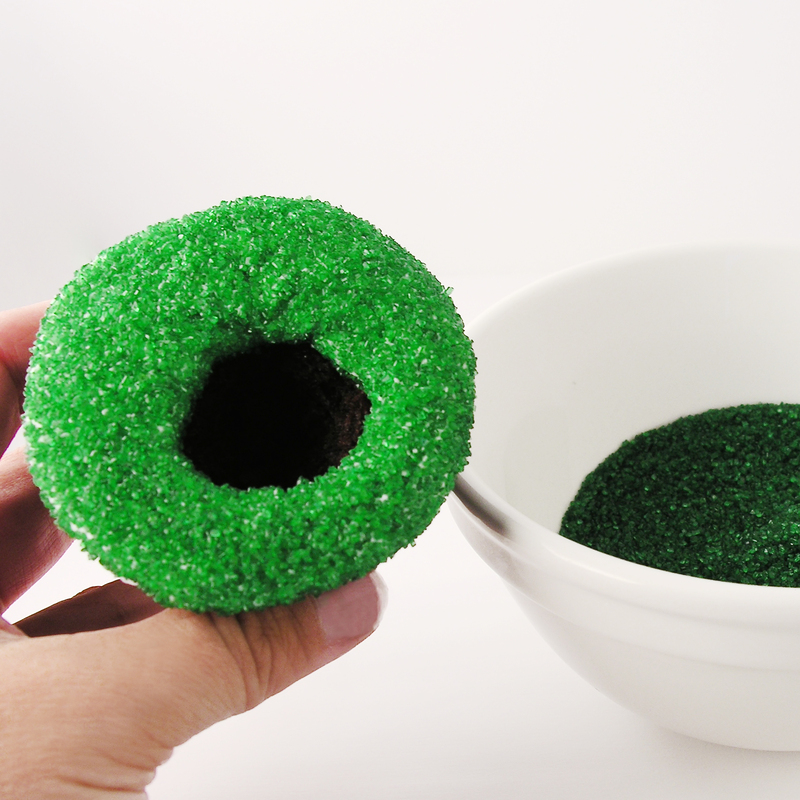 We also have some pretty amazing Doughnut Cupcakes– that actually taste like doughnuts! 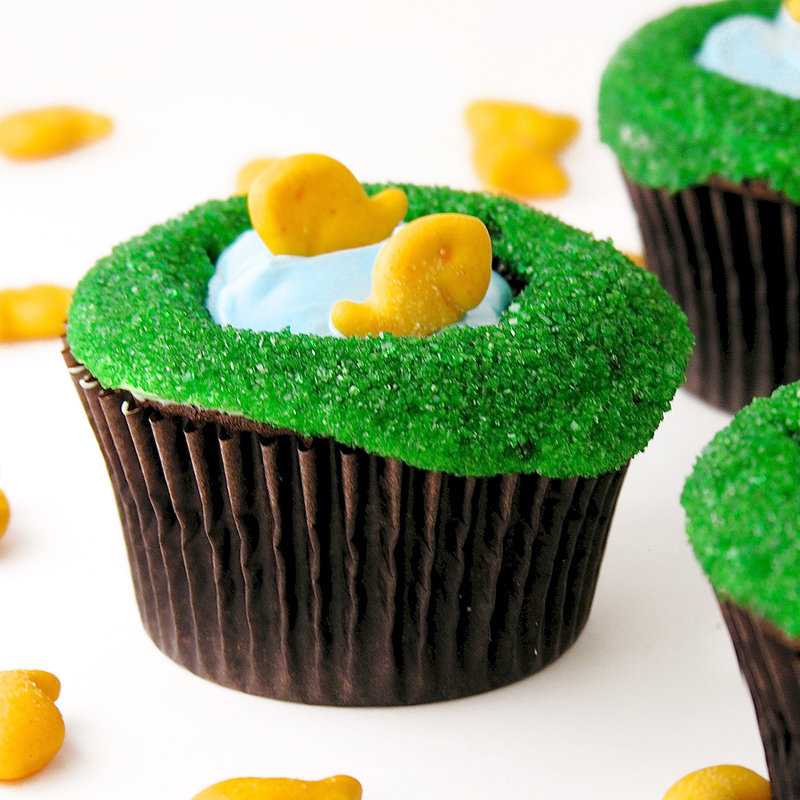 Finally, for the fisherman fathers out there….. 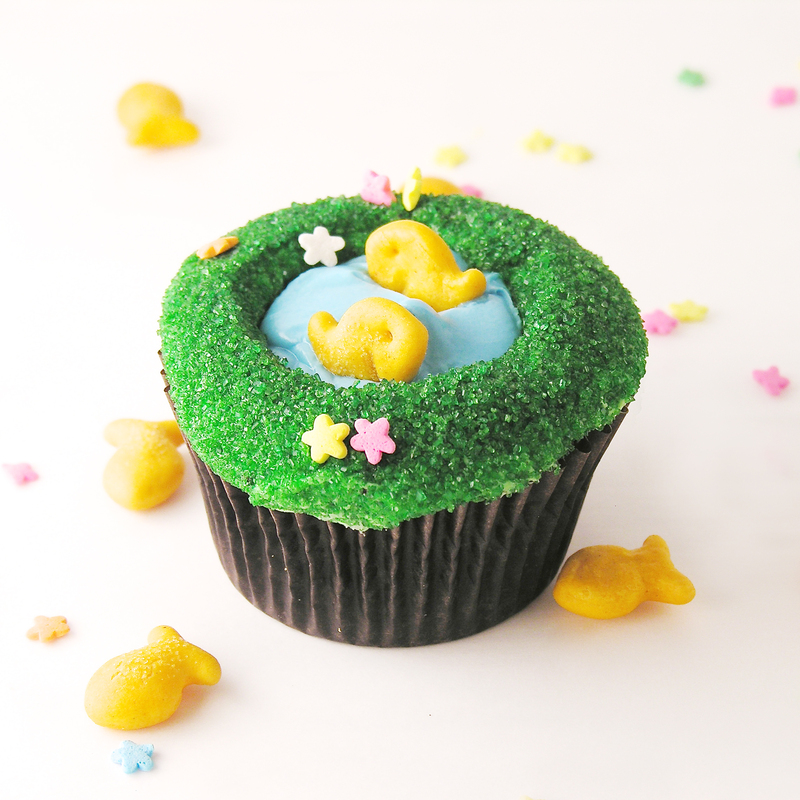 Fishing Bobber Cupcakes– that use Lindt Truffles as an adorable bobber on waves of blue icing- and Fishing Pond Cupcakes– stocked with little goldfish crackers! 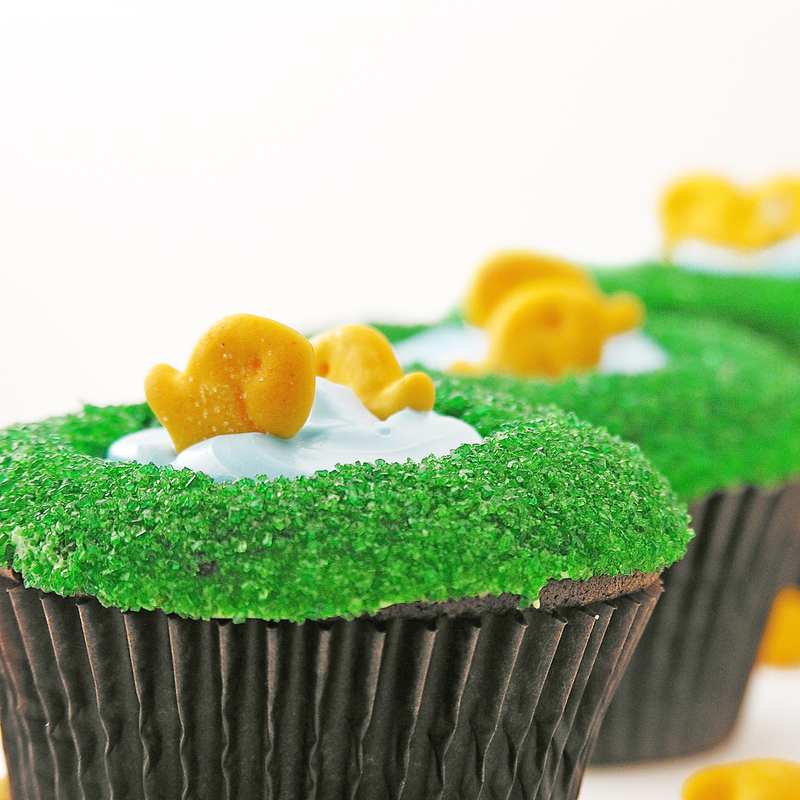 Posted in Cakes, Candy, Cookies, Cupcakes and tagged candy, chocolate, cookies, cupcakes, Father's Day, fathers day desserts, fathers day recipe collection, Fathers day recipes, fishing dessert, golf dessert, grilled dessert, science dessert, top 10 fathers day recipes. Bookmark the permalink. 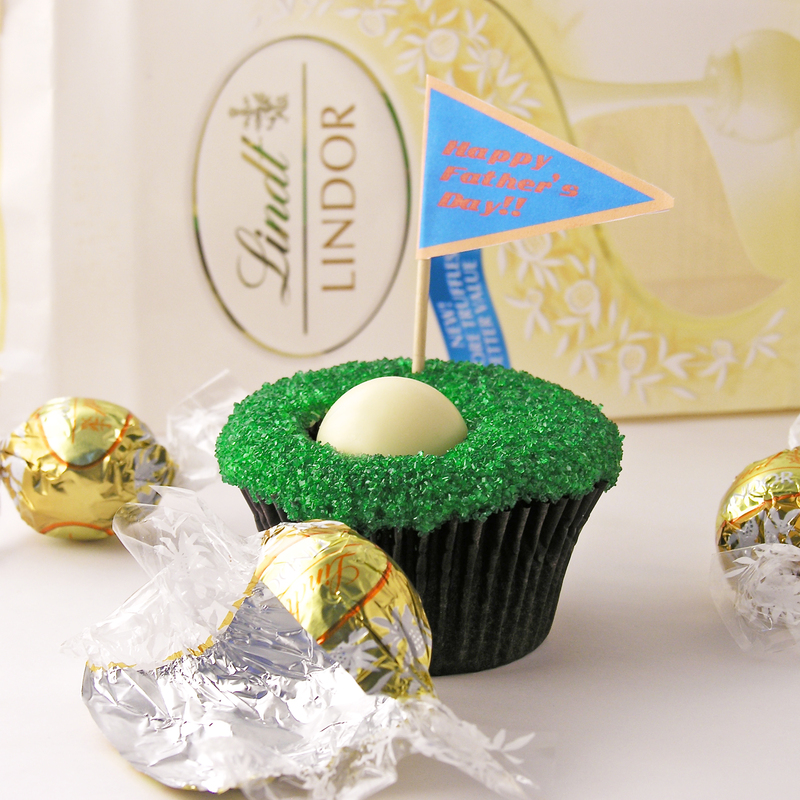 What do you get if you cut a hole in a cupcake and fill it with a Lindt white chocolate truffle? 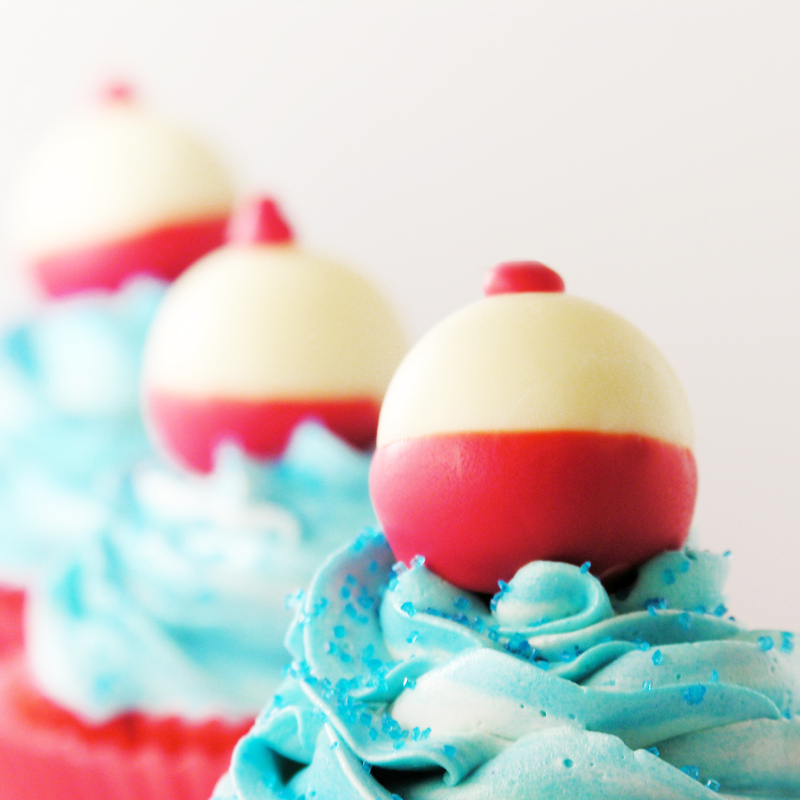 A perfect Father’s Day treat!!! 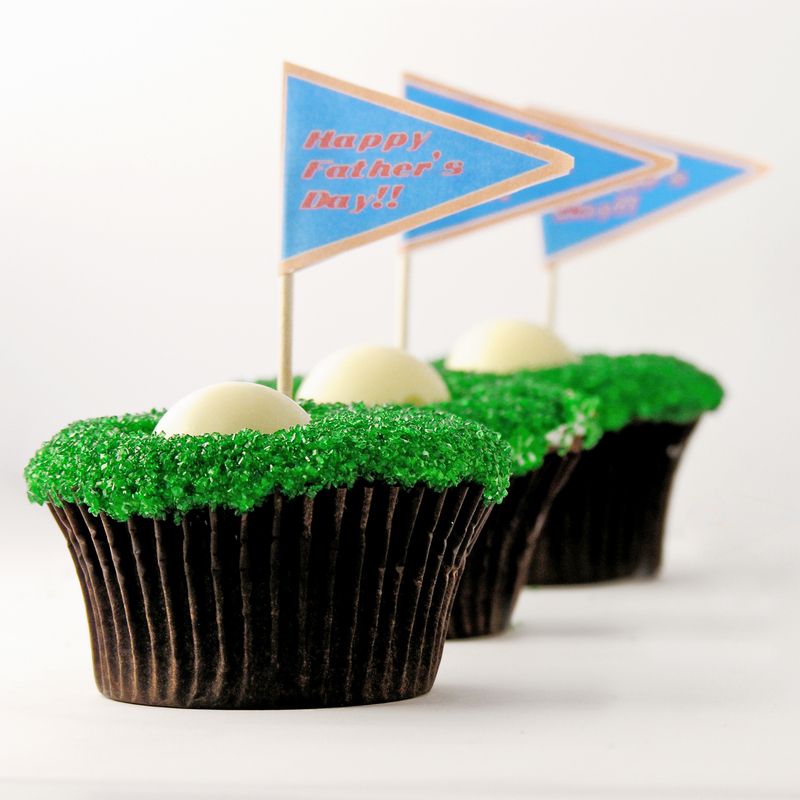 These are guaranteed to make any golf-loving Father smile on his special day! This one’s for you dad! I can’t wait to see you in 2 weeks and go “golfing” (aka losing cute golf balls in ponds). 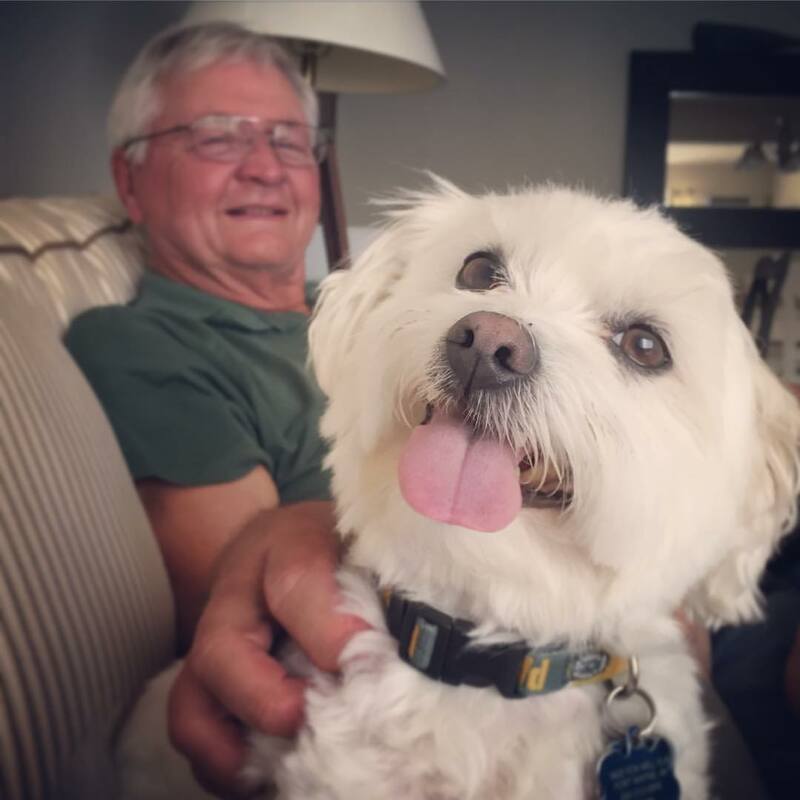 How is such incredible cuteness created, you ask? EASY! 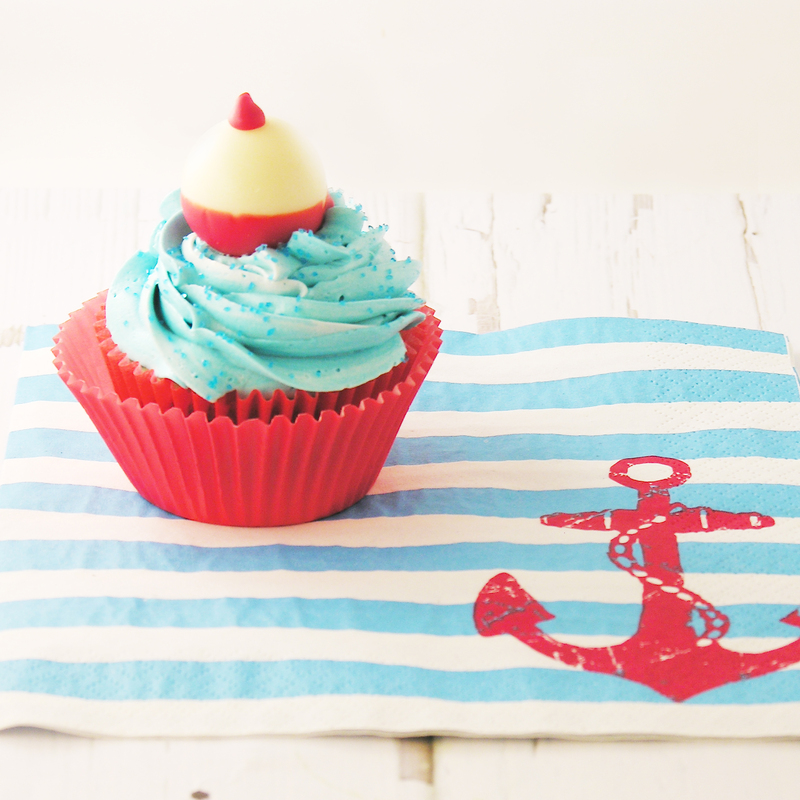 Make a chocolate cupcake, cut a hole in the top, and pop a Lindt white chocolate truffle inside! 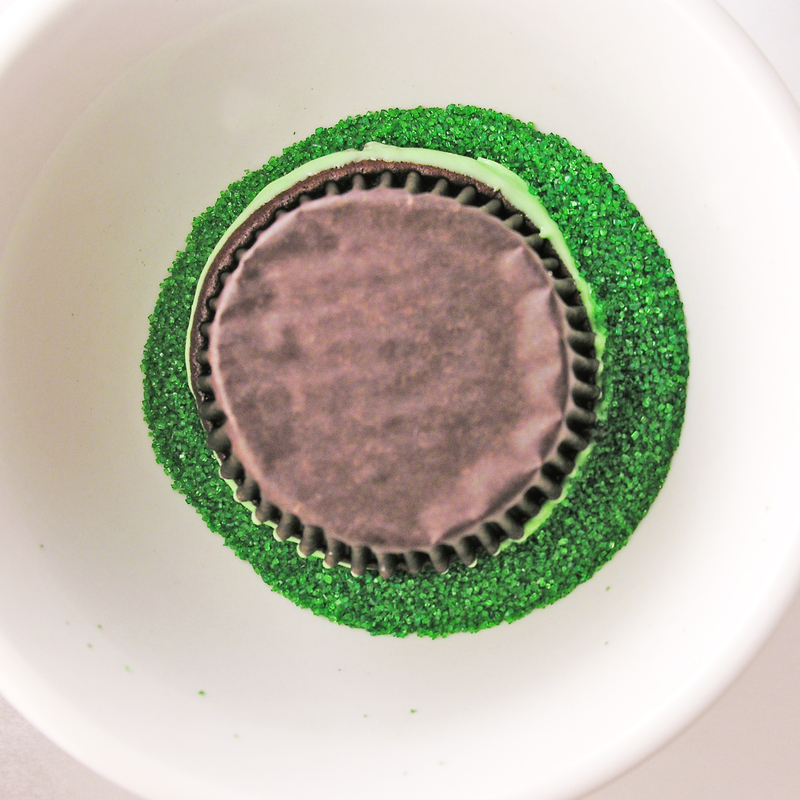 Make cake according to package and divide evenly into 24 cupcake liners placed in muffin tins. 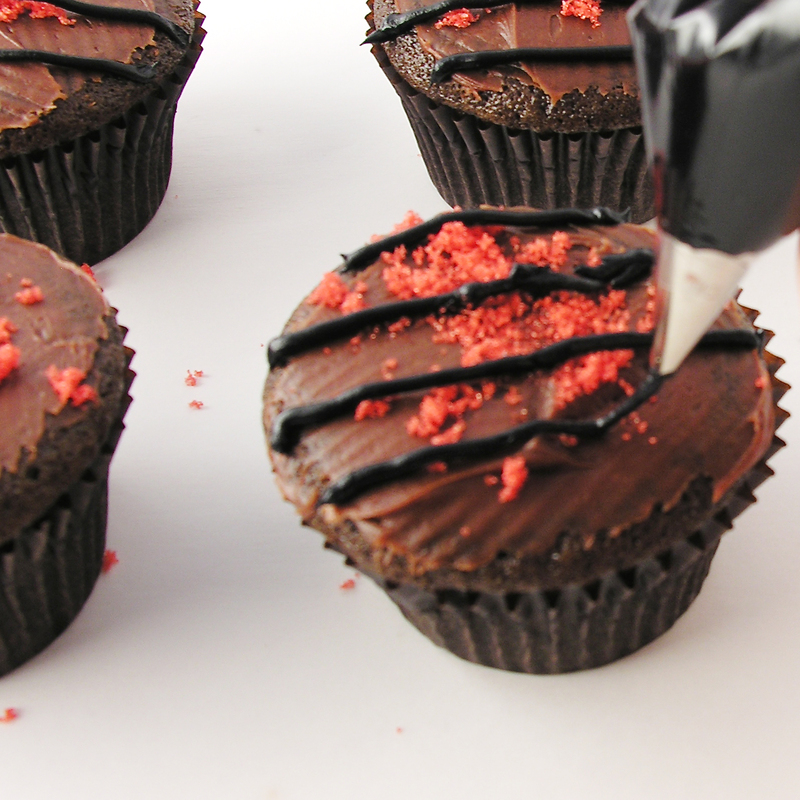 Use a cupcake corer or a small knife (use a corer to get that perfectly round cut!) 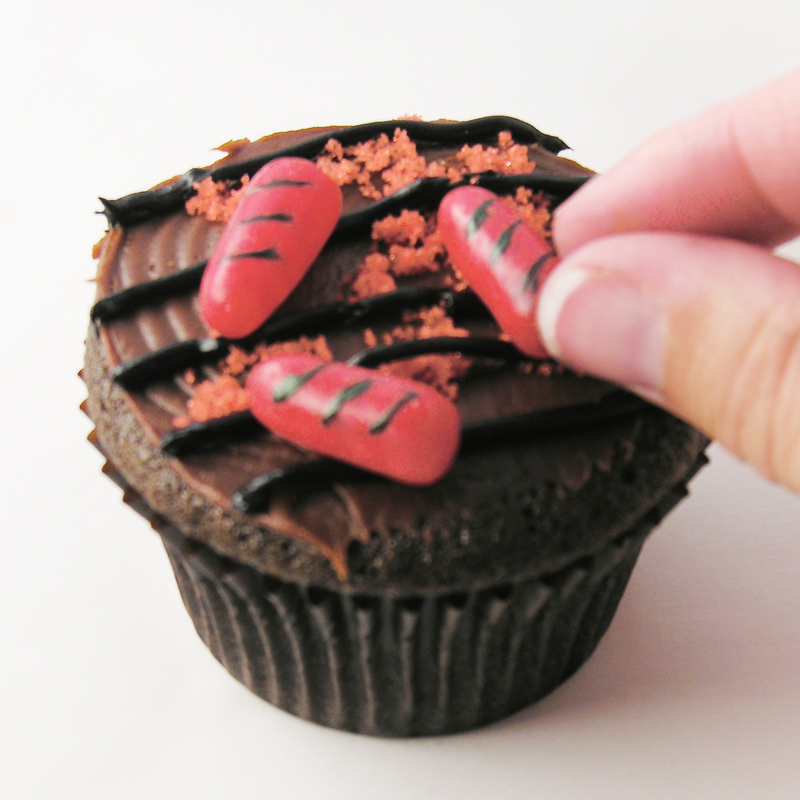 to cut a hole in the center of each cupcake. 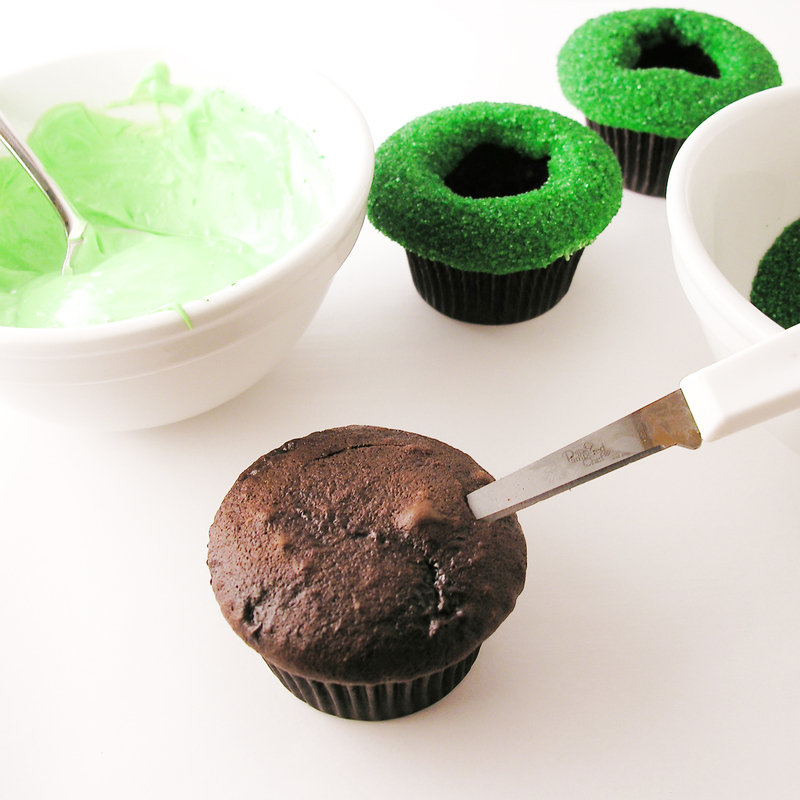 Use a knife to carefully frost the top of each cupcake around the hole. 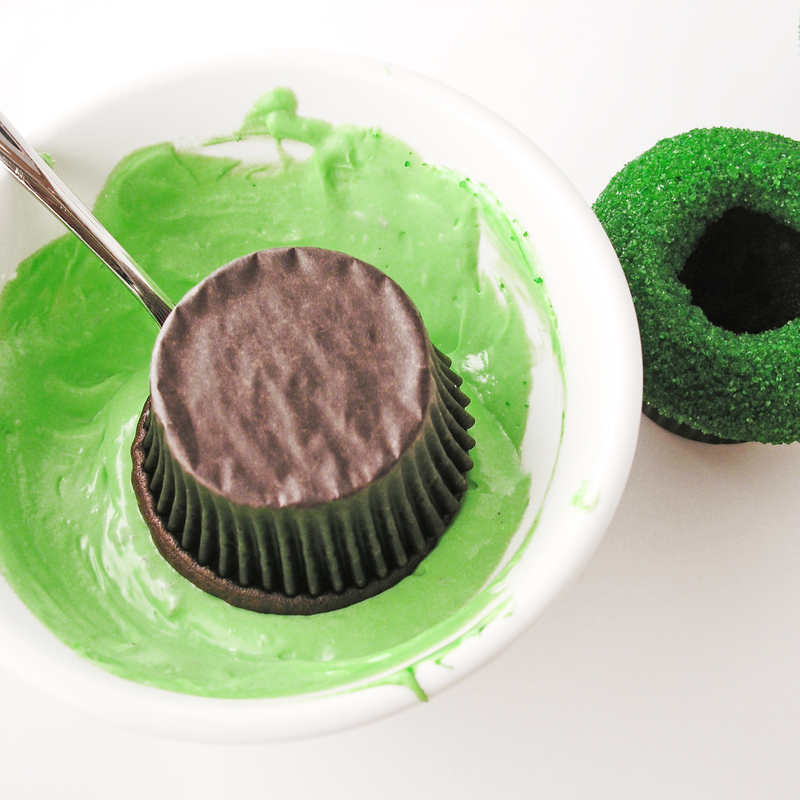 Press top of frosted cupcake into green sugar to coat it. 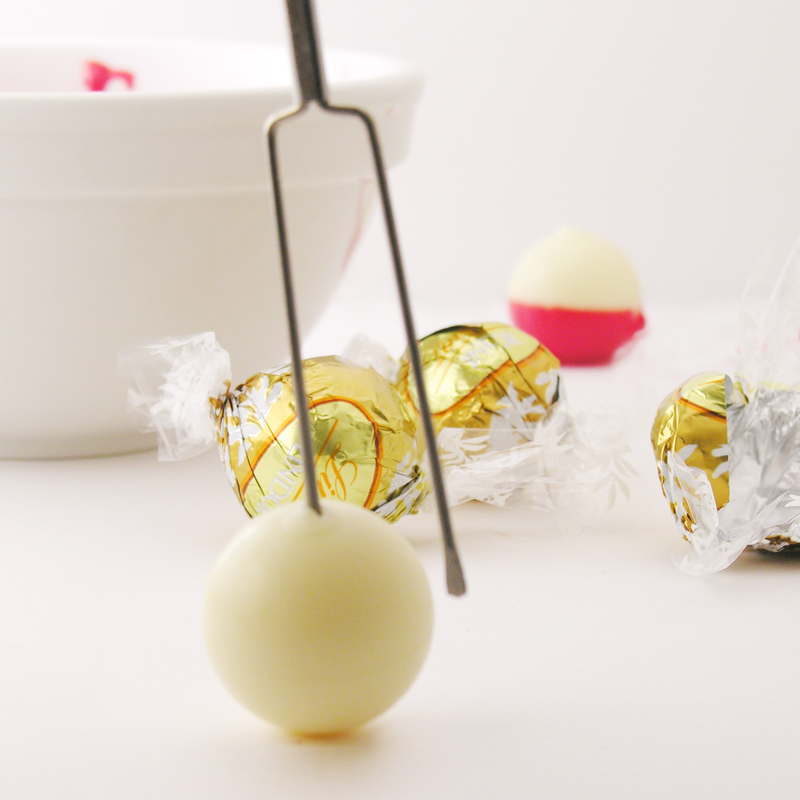 Place a truffle into “hole”. 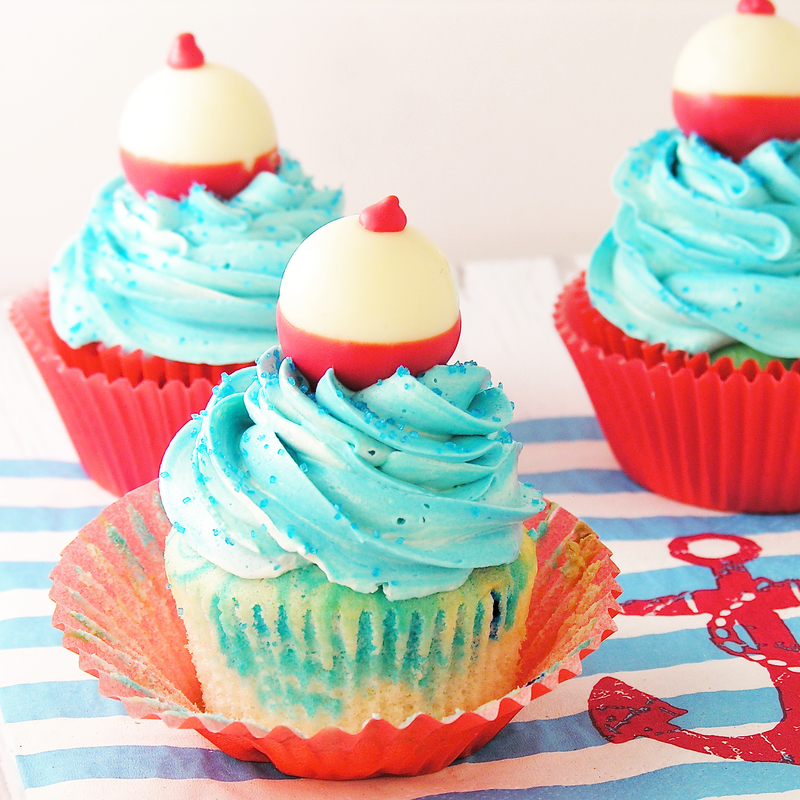 Place a flag in each cupcake- you can print these on heavy paper and use double-sided tape to secure them to toothpicks. 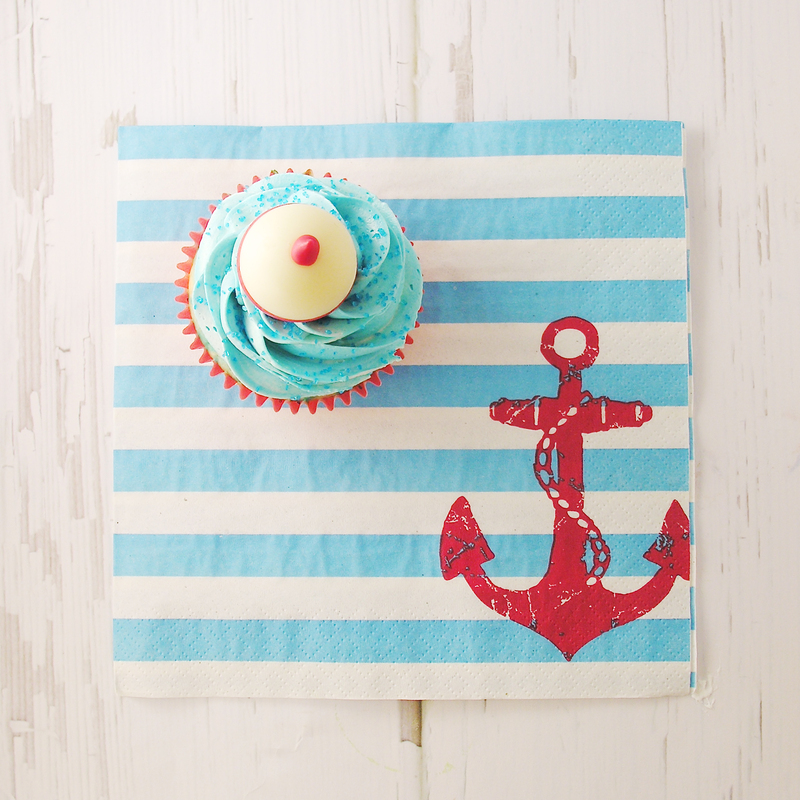 Here are 2 files- Happy Father’s Day, and Blank (write your own message) flags. 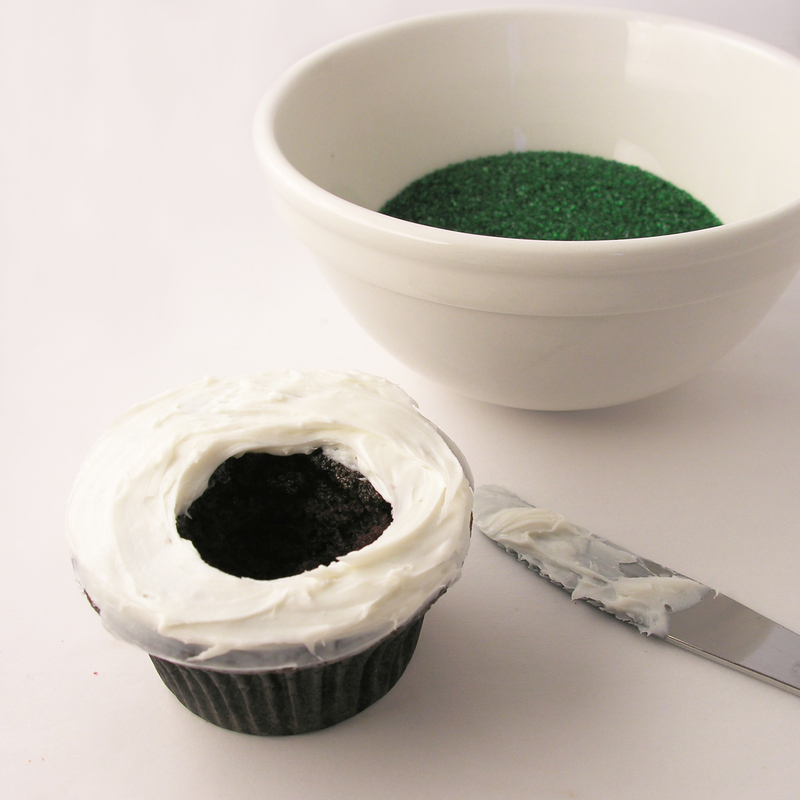 My thoughts: I’ve used a cupcake corer on so many cupcakes to add fillings, and the last time I did it, this idea popped into my head! 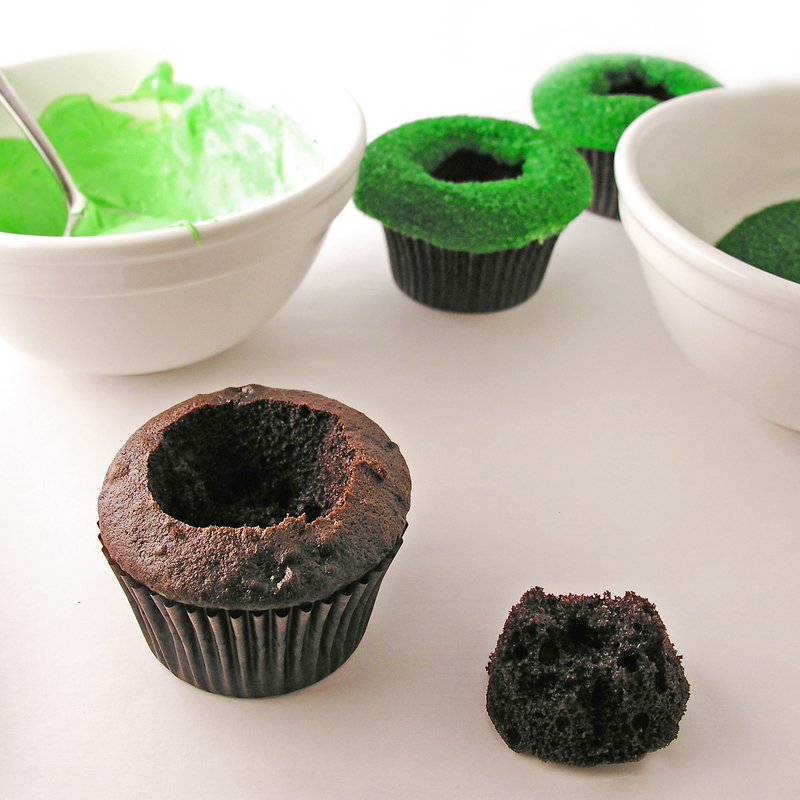 I wasn’t sure how it would turn out, but as soon as I coated my 1st cupcake in that green sugar I knew it would be perfect! Happy Father’s Day to all the dads out there- especially mine!!!! 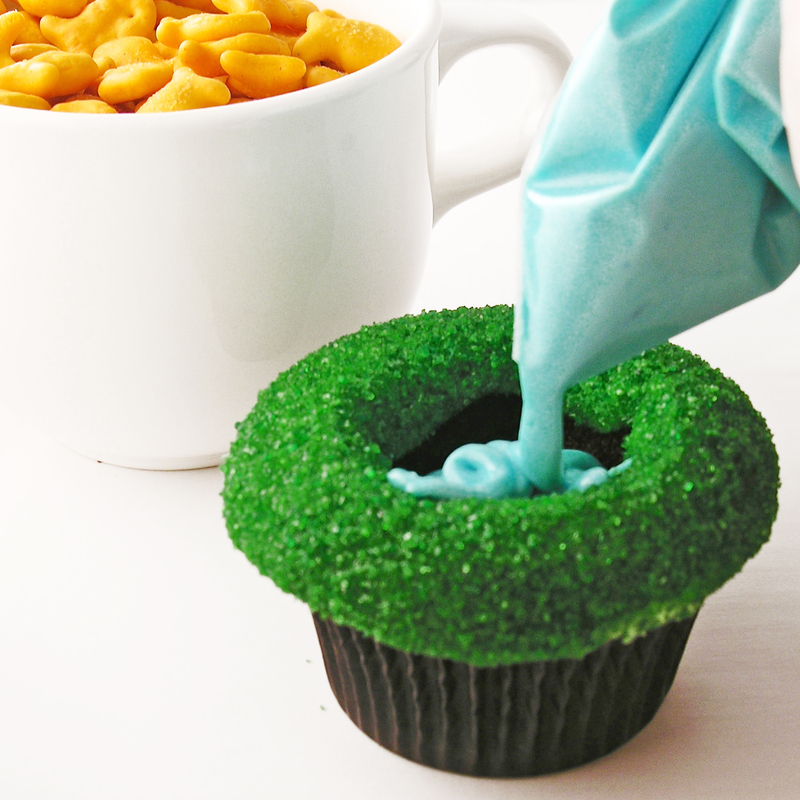 Want another reason to get a cupcake corer ? 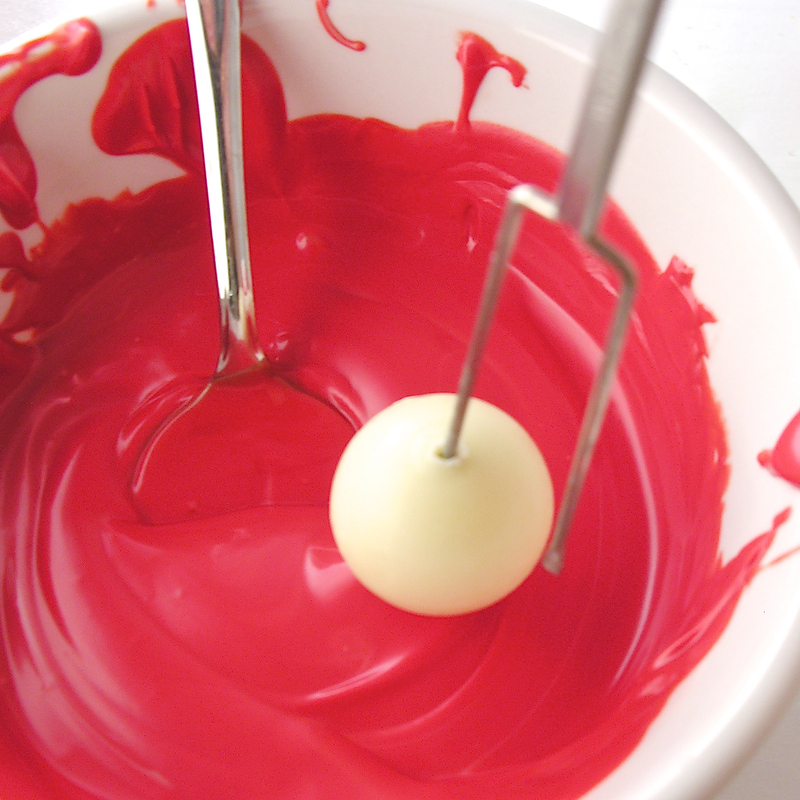 Here’s four……..
Posted in Cupcakes and tagged baking, best, chocolate, creative, creative cupcakes, cupcake flags, cupcake ideas, cupcakes, cupcakes for dad, dessert, DIY, Father's Day, food, free printable, golf, Golf cupcakes, hole in one, Lindt truffles, recipe, white chocolate. Bookmark the permalink.